This has been a topic of debate in the Zelda fan base since 1998. We’ve written many editorials about it and even had it as a fairly recent Daily Debate topic when talking about Hyrule Warriors. As of today we now have an official stance from Nintendo, one that puts the entire debate to bed. Is Sheik a female? Is Sheik a male (through the power of magical transformation)? We now know. Bill Trinen, Nintendo’s senior product marketing manager and the main guy we’ve seen publicly as the official translator for Shigeru Miyamoto in the United States, has given Nintendo’s official stance. I am sure many who want to still believe in the Male theory will cite the usual arguments. Bill Trinen didn’t make the game and doesn’t run the Zelda series. Sheik is called a man by Princess Ruto. 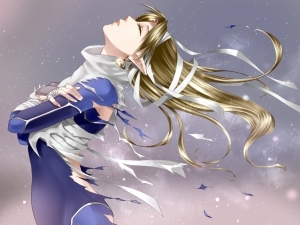 Sheik’s official art and in-game appearance are masculine and different from Princess Zelda’s body type. Eye colors are different. Manga has Sheik as a male. Whatever argument folks what to bring up… we now know the official stance from Nintendo, since Bill Trinen is a reputable representative for the company. I can’t wait to see what you all have to say about this nugget of information.